Now that the Spring Equinox has passed, RIR presents seven corners of Russia where you can enjoy some pleasant weather. 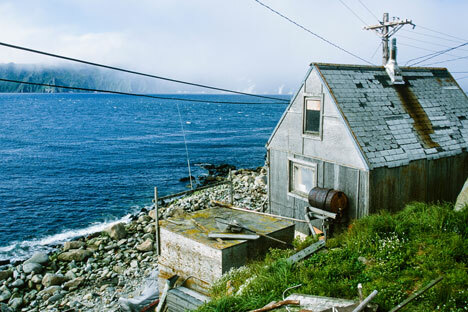 The easternmost place in Russia — the place where, according to the calendar at least, spring comes first — is Ratmanov Island, located on the Bering Strait that divides Eurasia from North America. It’s a harsh, rocky little place, and the only people capable of living there are the staff of the polar research station and the Russian border guards. A small river with swampy banks runs from south to north, and Mount Krysha, just 1,640 feet high, looks out over an enormous expanse of water. This place was used as a Russian military base during World War II, and the local inhabitants were evacuated to the mainland. They returned after the war, but the location retained its strategic significance. The International Date Line and the border between Russia and the United States are located nearby. In the European part of Russia, spring comes earliest to Rostov-on-Don — the unofficial capital of southern Russia and the center of a major metropolitan area with one million inhabitants. These days, known informally as “the gates to the Caucasus,” it is a city with links to five seas. Spring was already here in the middle of February, with daytime temperatures rising above freezing and rain replacing the snow. The city is built on the ruins of ancient settlements, some of which are 5,000 years old. The city boasts around 1,000 cultural heritage sites, and, incidentally, the local university is where the famous Soviet writer and Nobel Prize winner, Alexander Solzhenitsyn, once studied. Russia didn’t exactly luck out with its climate. The only small island of sub-tropical conditions — where snow rarely falls and where temperatures are reliably above freezing by the middle of February — is the area around the city of Sochi. To be more precise, the part of Sochi that is on the Black Sea, and not the part that is in the mountains; up there, the snow can hang on right up to the end of spring, since the highest point is 9,842 feet above sea level. These mountains are where the Winter Olympics will take place in less than a year’s time. Not far away lies Anapa — the “children’s resort.” This city’s history goes back more than 10,000 years. In ancient times, there was a settlement of Sindi people here — the ancient city of Sindskaya Gavan. Anapa was officially a national children’s resort during Soviet times. It had beaches with fine sand (Sochi has pebbles) and a shallow sea that warmed quickly and had no strong currents. The air is almost always circulating above Anapa, which makes it a natural inhalatorium. Astrakhan is now unofficially known as the capital of Russia’s main delicacy — black caviar. The history of this region is full of legends, both heroic and terrible. A number of historians believe that the city of Itil — the capital of the only medieval state in Europe to have Judaism as its state religion — was situated not far from here. This is the most arid place not just in Russia, but also in Europe. The climate here is classified as semi-arid, even though the Caspian Sea lies not far away. Spring here usually begins with strong winds, making for a lot of dust in the air in March. The ancient name of this city was Caspian Gates, mentioned by the ancient Greek geographer, Hecataeus of Miletus, in the sixth century B.C. Derbent is considered to be the southernmost city in Russia and one of the oldest “living” cities in the world. The first settlements emerged here in the Early Bronze Age, in the fourth millennium B.C. The climate here is close to sub-tropical semi-arid, with snow falling on average for just two weeks a year. It is also an entirely arid place, with an average precipitation of just 10.2 inches per year. Derbent was at one time strategically significant for many peoples: the Scythians, the Sarmatians, the Alani, the Huns, the Khazars, the Persians and the Arabs. The city has seen everything — attacks and destruction, decline and prosperity. Russia’s absolute maximum temperature was recorded a couple of years ago in the rural settlement of Utta in Kalmykia, with the air heating up to a scorching 45.4 degrees Celsius (113.7 degrees Fahrenheit). This is no surprise: the village is located in a desert area on the Caspian Depression. It’s a small place now, but, in ancient times, it was an important staging post and the military headquarters for the Kharakhusov “ulus” (one of the Kalmyk nomads’ tribal groupings). Religious obelisks were built here. A couple of years ago, this city surprised many experienced observers of weather changes around the world. On February 15, 2010, the absolute maximum temperature for the winter months in Russia was recorded in Maykop: it came in at 23.4 degrees Celsius (74.1 degrees Fahrenheit). The temperature this year is already above freezing. Maykop is the capital of Russia’s Adygea Republic. It lies in the Northern foothills of the Caucasian Ridge, on the right bank of the Belaya River (a tributary of the Kuban River). The city was founded by a Russian general in May 1857, as a military fortification in the South. Thirteen years later, the fortress became a district center. Now it is one of the most beautiful and well-appointed cities in the North Caucasus. Although, in the winter — and also at the beginning of spring and during autumn — strong winds dry the upper layers of the soil and sometimes cause dust storms. Maykop gained international fame in 1897, when the Oshad burial mound was opened to reveal a multitude of gold and silver artifacts from the Scythian-Sarmatian period.